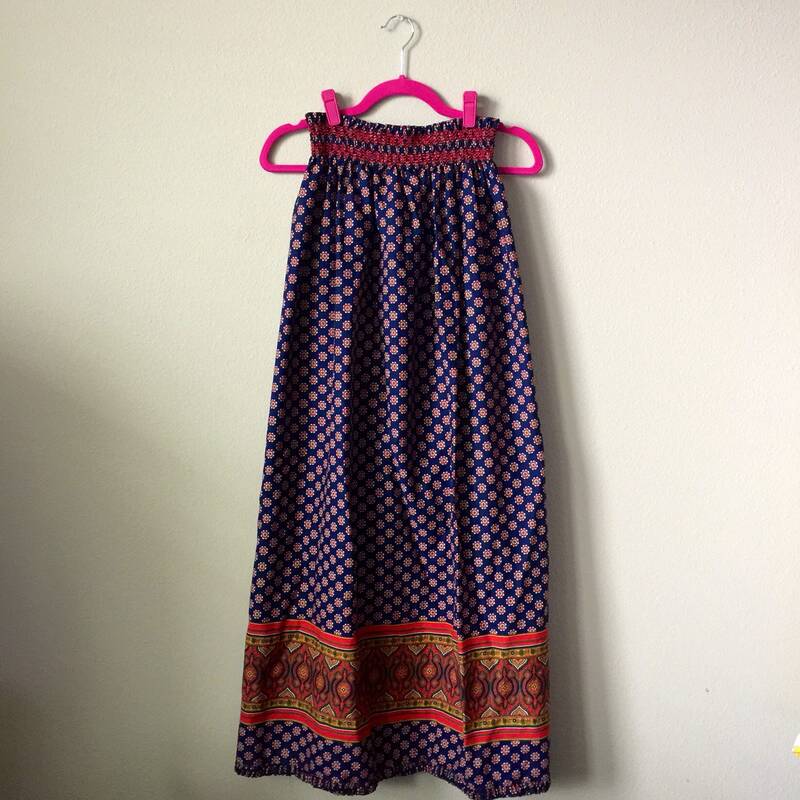 Boho print maxi skirt that can also be worn as a strapless dress. 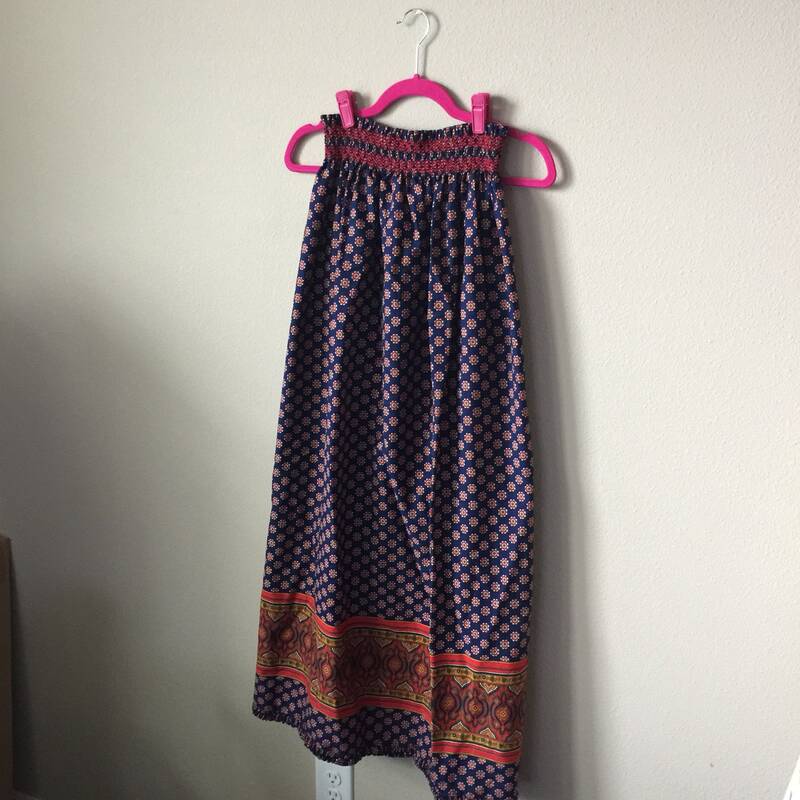 Comfortable stretchy waist/top band and flowy, silky fabric. Fits a size M-L.